Back a few days ago, fans were caught in distraught when the rumour of Rhythm Heaven being put on indefinite hold spread. However, there is good news, Nintendo has confirmed that the franchise isn’t dead. In an Interview with Eurogamer (link), producer of Rhythm Heaven Megamix, Yoshio Sakamoto has this to say. I wanted to ask you about Rhythm Heaven, another game series you’ve worked on. 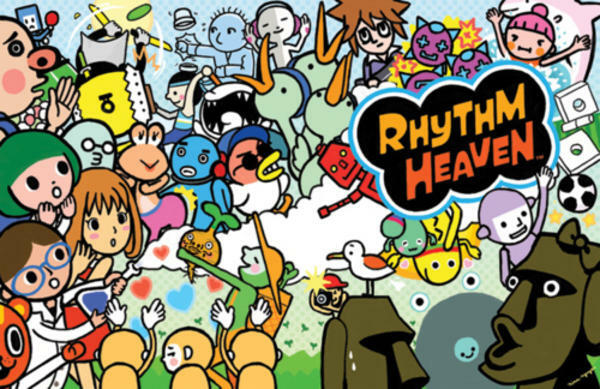 There was a recent report there would be no more Rhythm Heaven – is this true? Yoshio Sakamoto: We generally don’t comment on those kind of rumours, but I don’t remember us ever saying it was over. Generally speaking, if there’s an oppurtunity, a motivation, a need, we consider all opportunities and leave the door open. That’s all I can say. So you wouldn’t say it was dead? Yoshio Sakamoto: No, it’s not dead. While this does not confirm that Nintendo is working on any Rhythm Heaven games, it does shed hope that maybe in the near future there may be new games for the franchise.